As the frontman for The Wonder Years, Dan Campbell has exhumed the most intimate parts of his life for his songs. 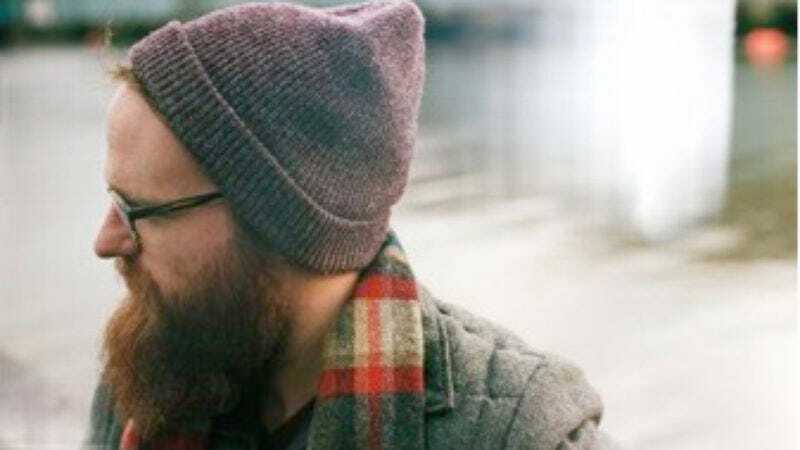 that’s why, when he started Aaron West And The Roaring Twenties, he took to crafting the story of Aaron West and singing from his point of view. Now, a couple years later, Campbell has prepared a follow-up EP. Produced by Ace Enders of The Early November, the EP, Bittersweet, explains just what happened to West in the intervening time. “This EP serves as a bridge to future full lengths. The songs place a period at the end of We Don’t Have Each Other and open up a new chapter for Aaron to start rebuilding,” Campbell says. The A.V. Club is premiering “Goodbye, Carolina Blues” below, which adds another heartbreaker to the ever-growing list of them in the Aaron West catalog. The A.V. Club also has an exclusive Spotify playlist that Campbell put together of the influences that went into Bittersweet’s creation, which can also be heard right here. Bittersweet will be released on May 20 via Hopeless Records. Pre-orders for the record are available now, and the project’s upcoming tour dates can be found below.